So you and your sales team can convert leads to customers, reach targets and grow your business. By applying productivity principles to CRM, we have turned complexity into a simple and focused to-do list. Finally, your sales team can focus on sales, not software. 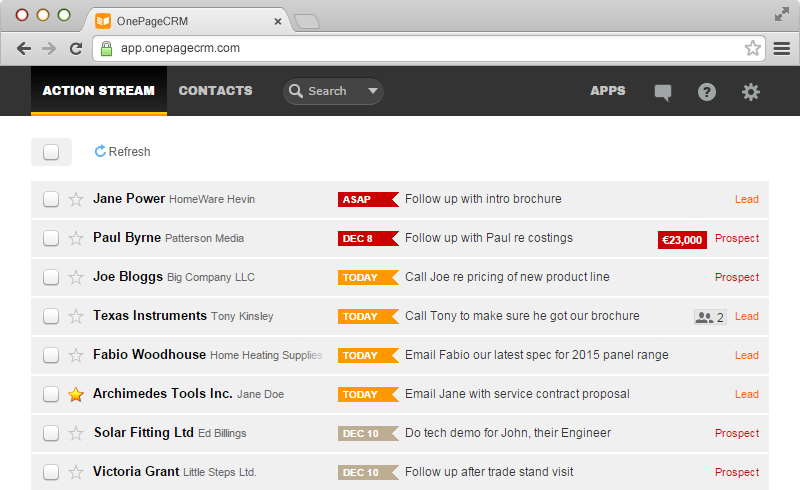 Strive for zero admin and data entry with our range of lead clippers from Gmail, Outlook, Xing, Facebook and Twitter. 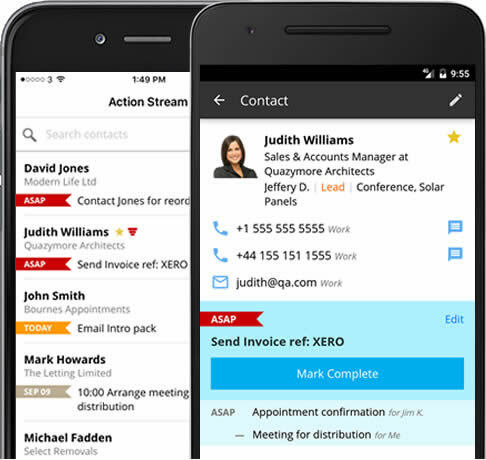 Access your and your sales team's contacts from your pocket with our mobile apps. Have your business systems talk to each other and easily move contacts and deals to marketing, project management and invoicing. Our Customer Success team will quickly solve your issues and onboard your sales team with all they need to know with live webinars.